I have been the tuner for this car for about 3 years now. This car has been on this PTE 6057 now for a little over a year and still going strong. Before this turbo it was on a stock turbo and made 404/394tq. 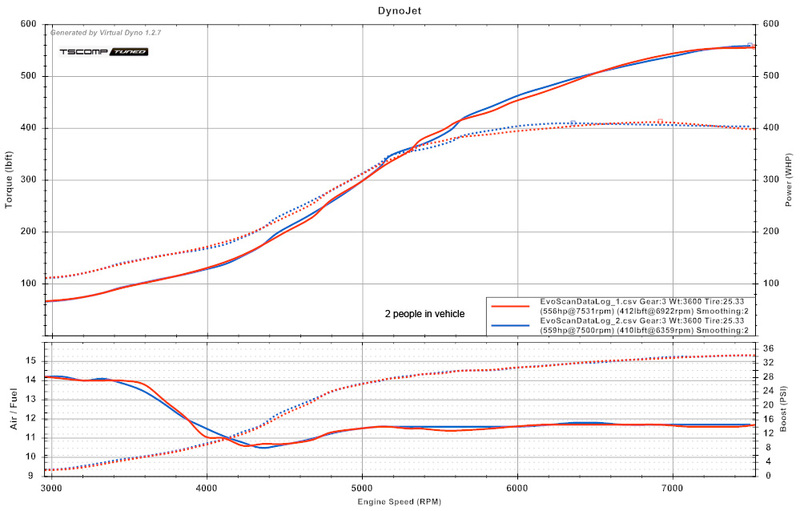 The customer took the car to the track last weekend and got a very nice trap speed! His ET wasn't so hot though. 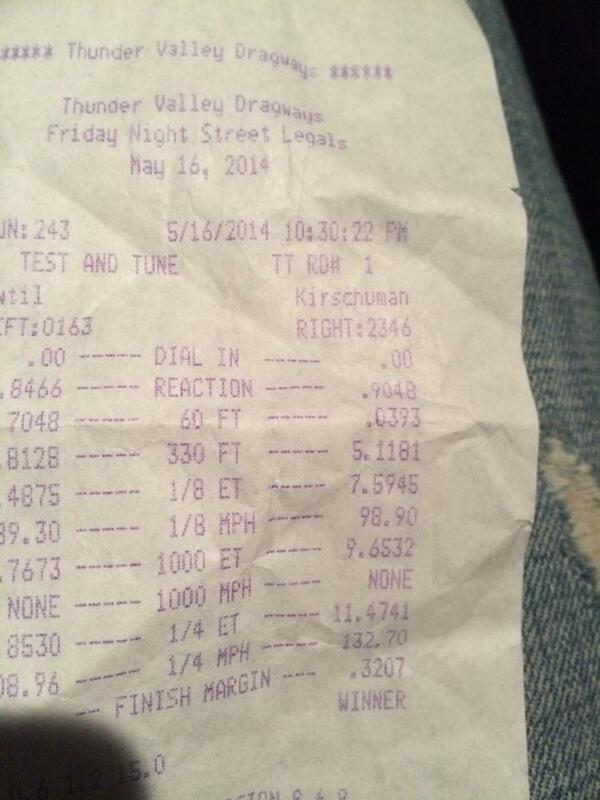 Those who drag race know that a 132.70MPH should be at least a 10 second ET with a clean pass. I will post two slips here to show you my customer was having trouble in the 1/8 with his car. He couldn't get the launch right and just kept spinning. He kept getting 2.0-2.1 60ft's. The trap speed is what displays the power the vehicle is putting down though. The car was on regular street tires and full street trim (Full weight evo). Last edited by tscompusa; May 21, 2014 at 06:05 PM.